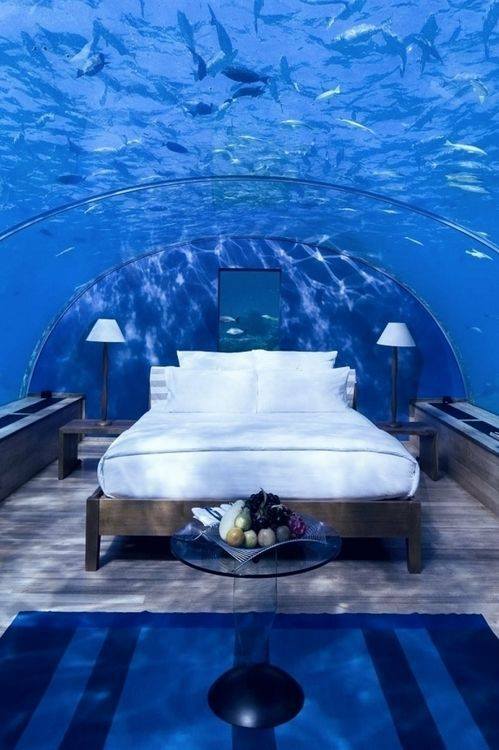 Its my dream to go somewhere far from home and stay at a place where I have an underwater bedroom, you can find many hotels in maldives and other part of the world, that have a special bedroom which is entirely made of glass (except the floor). 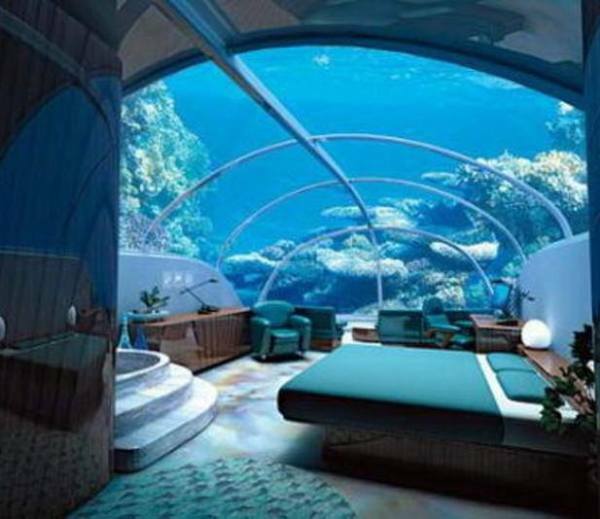 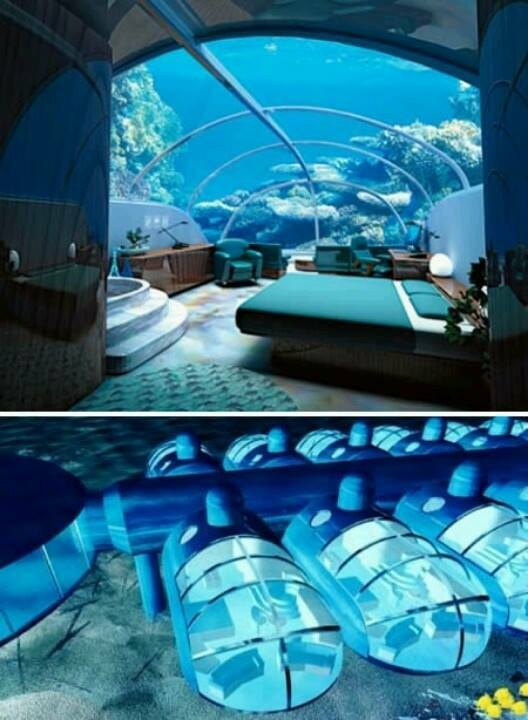 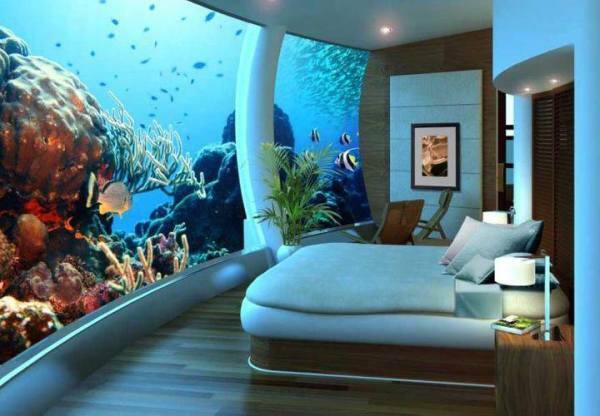 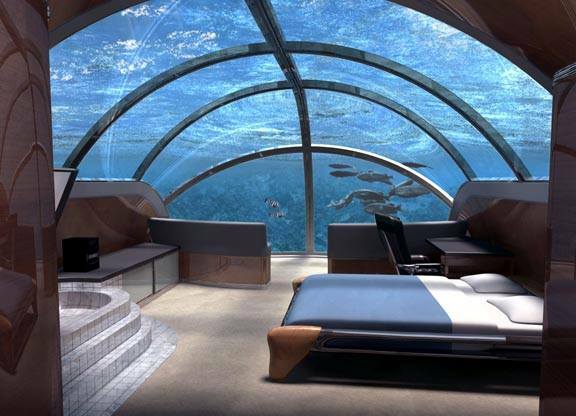 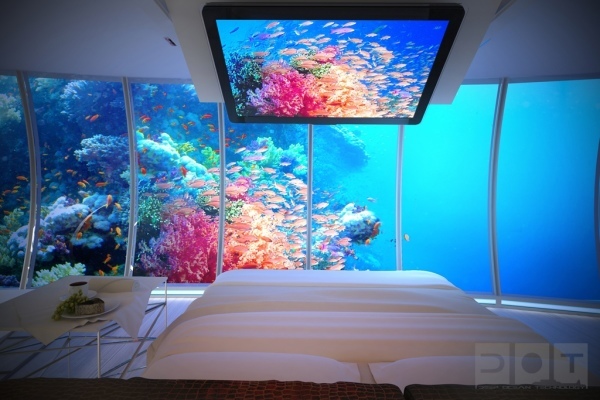 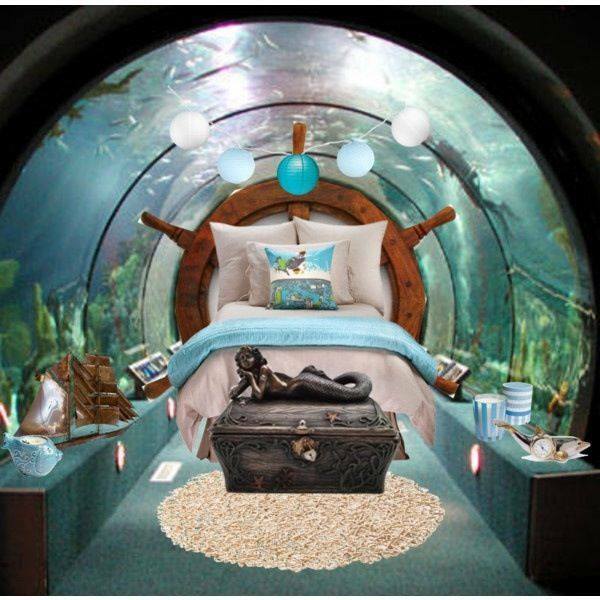 These so called underwater bedroom are only practical in hotels and resorts, which can make keep you refreshed for time you stay. 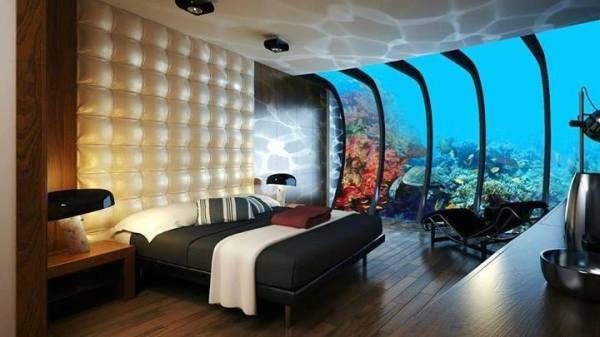 Just imagine you are making love and a diver watches you in your bedroom throw clear glasses, well I wouldn’t be excited about this. 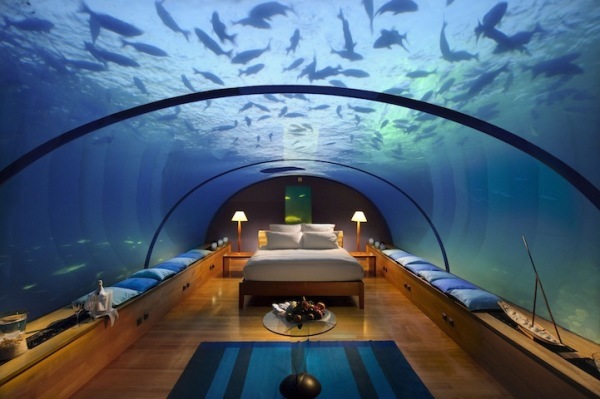 Anyways enjoy the stay at such places and give yourself a luxurious treat.